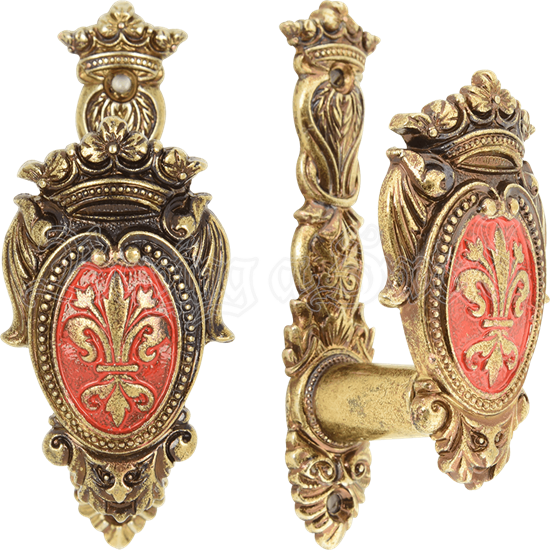 These brass fleur de lis crest sword hangers are sold as a pair and are meant to hang the sword by the hilt. Denix brass fleur de lis crest sword hangers are great for using with understated swords and just when you want to give your display a little extra something. 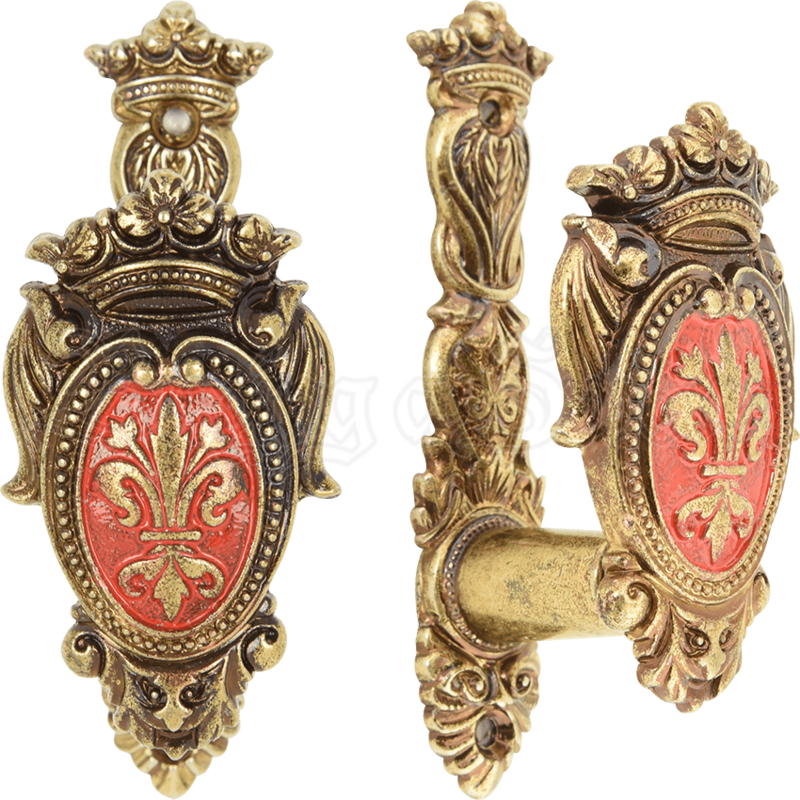 The brass fleur de lis crest sword hangers are a beautifully crafted spring loaded wall mount, great for swords or gun replicas.